The KAP uses a three-stage progressive filtration system designed for the highest air quality at the lowest filter replacement costs, and carbon filled trays to remove odors. 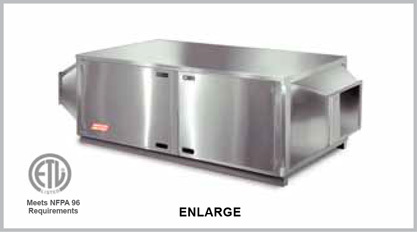 Features convenient no-tool cabinet service doors. For heavy grease, smoke, odors, and wood-fired grills. 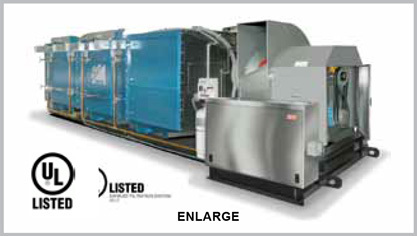 Units are factory assembled with four customer specified sections to meet the application requirements: The 75’s electrostatic cell utilizes a regularly spaced series of aluminum plates, every other one of which carries 5000 volts of D.C. power with the alternating plates charged to 11,000 volts D.C. Includes automatic wash system for ESP section, high-efficiency safety filter, odor control and system exhaust fan. 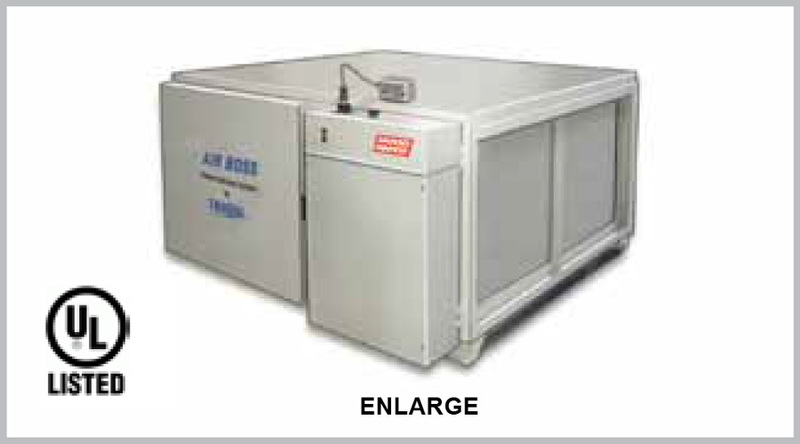 This unit is recommended for heavy duty applications and requires far less maintennce than non-waterwash or filtered air purification units. The KES’s electrostatic precipitator is a high-efficiency primary air purification device using electrostatic attraction, filter media, odor control and system exhaust fan. As smoke particles pass over its charged wires they receive a positive charge and so are repelled by the positive plates and attracted to the negative plates where they are collected. The last section is the odor reduction component. 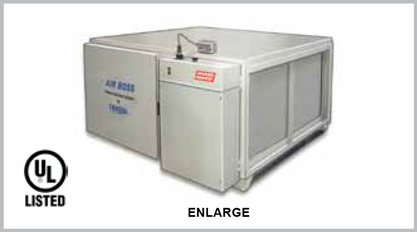 This manually cleaned unit is recommended for light and medium duty applications. If you want your restaurant filled with customers, only the best aromas should fill your restaurant!